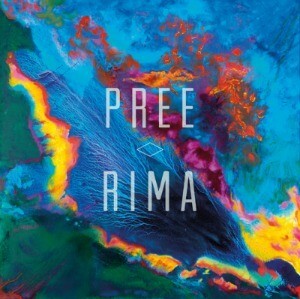 With Rima, Washington, DC’s Pree take a step forward, ironing out the rough edges of 2011’s Folly and coming up with a production that does justice to the depth of their sound without sacrificing any of the quirks. Occupying a niche down the hall from Dirty Projectors, it is pop as experiment, but with a warmth and curiousness that keeps you coming back. May Tabol’s voice, like Hospitality’s Amber Papini, is the arresting element here: jarring on first listen, but it keeps drawing you back. Michael Zepada, Ben Usie, and Ben Schurr round out the quartet. Combinations of songs jump out, with opening salvo “Two Feet Shy” and “Hi-Livin’” setting the pace. Things get darker and weirder with the middle section of “Hooks & Eyes,” “Different Shores,” and “The Dog” representing the core of the matter. While the songs bounce brightly from speakers, a trip to the headphones opens up a whole world of sonic touches that might be missed otherwise, and it’s the attention to detail that sets Pree apart. “Walk Right” and “Maybe We’ll Row” end things on a triumphant note, bringing our journey to a close.